We provided useful insights for professionals across the HR function who are responsible for all types of mobile employees. 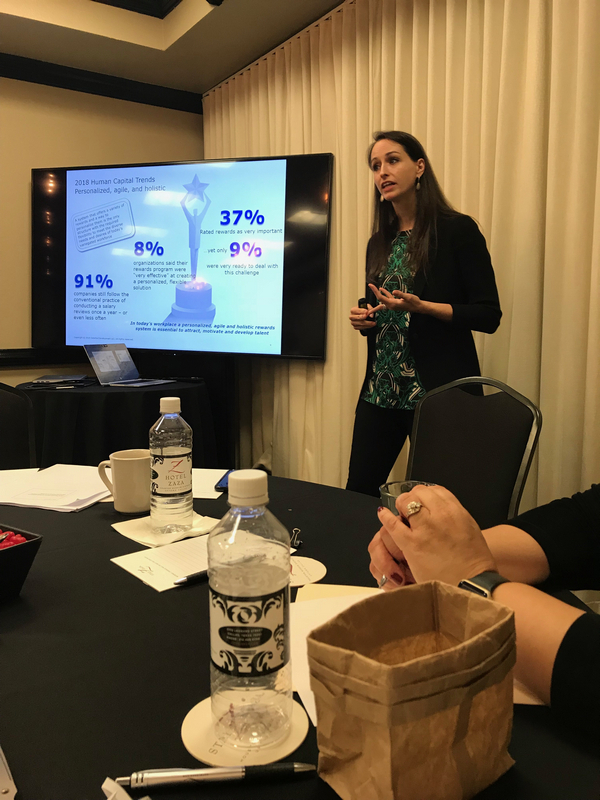 We discussed the future of work and its impact on talent; how to redefine traditional HR and global equity operating models for the future; and the power of predictive analytics, automation, and artificial intelligence you can leverage now. This was an interactive session led by KPMG to allow the audience to share their stories and hear how others are changing the way we work. Comp Season – Stuck in a Rut? We got out of the PowerPoint rut for this one! We facilitated small group discussions on lessons learned from the 2019 comp season rodeo. What was your biggest challenge this year? Did you try something new this year? Was it a success or will you never speak of it again? Attendees brought their 2019 comp season highlights and success stories. We learned from each other! Facilitated by our sponsors Bank of America Merrill Lynch and your Texas GEO Chapter Leadership team. Denise Ledbetter, Senior Global Equity Programs Manager, MindBody, Inc. These topics were presented in Houston on 19 September and in Dallas on 20 September 2018. Companies make significant investments in employee total rewards packages especially in the area of compensation, yet often due to a lack of data, they cannot fully maximize that return on their investment. As the landscape of compensation changes and organizations are forced to explore new and non-traditional avenues to reward, attract and retain key talent, maximizing that return on investment will become even more critical. This one-hour session with Allyson Kuper from Deloitte Consulting will explore how adopting a quantitative and technology enabled approach to rewards management can help your organization better align your rewards offering with the needs and wants of your workforce, explore potentially new and non-traditional vehicles for compensation, and ultimately invest most effectively in rewards for near-term and future workforce needs. Today's workforce has expectations extending beyond the traditional sense of compensation and benefits to a holistic approach to wellbeing that addresses body, mind, purpose, and wealth. Employees demand more than just a paycheck and "set it and forget it" retirement plans to manage their financial longevity. Providing financial wellbeing can play a key role in keeping employees engaged, committed, and increasing overall productivity and performance. 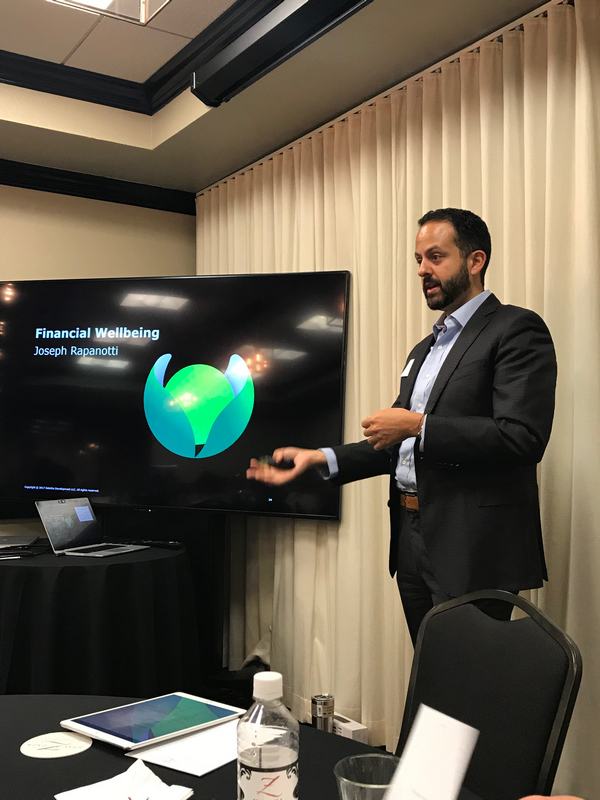 Many organizations find themselves in the early stages of providing Financial Wellness to their employees, but additional efforts can pave the way to an engaged Financial Wellness platform. Join Joseph Rapanotti from Deloitte Consulting in a discussion on the importance of long-term rewards providing a sustained impact on your workforce with a sense of security in an area that many employees consider to be the most valuable: personal financial wellbeing. Learn how stock compensation can play an important part in your organization's commitment to financial wellbeing. Video is still new and fresh to equity plan education and is already feeling like the old west technology. Interactive video is already rapidly impacting video delivery concepts and changing how individuals digest information. We’ll explore in depth interactive capabilities - from video-delivered surveys, 'choose your own adventure,' to video clustering, games and more, what is the new frontier for employee education? This session will explore the cool and complicated, as well as, the creepy uneasiness of the massive data that is being generated because everyone just loves to click. As proxy statements continue to roll in, experiences with the CEO pay ratio calculation roll-out. We’ll discuss the results of over 1,500 actual pay ratio disclosures, including industry-level statistics and best practices in methodology selection. We will review disclosures that demonstrate effective compliance with the rule as well as ones that pull some punches from the media or other skeptical third parties. Finally, we will discuss first-hand experiences from the trenches of calculating numbers and pulling together disclosures. Join us for a look at year 1 results from the pay ratio rule and predictions for how to make year 2 even more seamless. These topics were presented in Houston on 05 April and in Dallas on 06 April 2018. ESPP's are both wonderful and woeful. Hear from a team of experienced professionals as they cover some of the challenges facing companies in global ESPP payroll management, including the importance of identifying, implementing and reviewing best practices. Get money, time and sanity saving solutions in this very useful and practical session. Git 'r Done – Cybersecurity Challenges: Are you Ready? Understand how the cyber threat landscape, actors and regulatory impacts drive the need for additional controls and tracking. Preparing your applications, IT environment, file transfers that you house and transfer employee or client data is important. It continues to require focus and resources. Having a plan and approach is important and understanding the questions you should be asking as an equity administrator or compensation professional is key to helping protect employee information and manage your vendors. We’ve all done them, we all have them – Grant Award Agreements. Come learn about the topics to think about as you ‘kick the dust’ on your Grant Award Agreements for the upcoming compensation cycle. Our presenters will cover best practices for grant award agreements, specific provisions to consider, grant acceptance and some key “take aways” for your equity program. Come learn about the requirements as changes continue to unfold, understand how companies expect the ratio to be used and discuss with your peers how they are handling the communication aspect both internally and externally. What employees do with vested RSUs has long been a mystery to most companies. When shares hit the employee account, plan sponsor visibility is lost. And, while ESPP share selling behavior has been seen through disposition reporting, companies have very little insight into how selling behavior is linked to plan type and demographic variances. 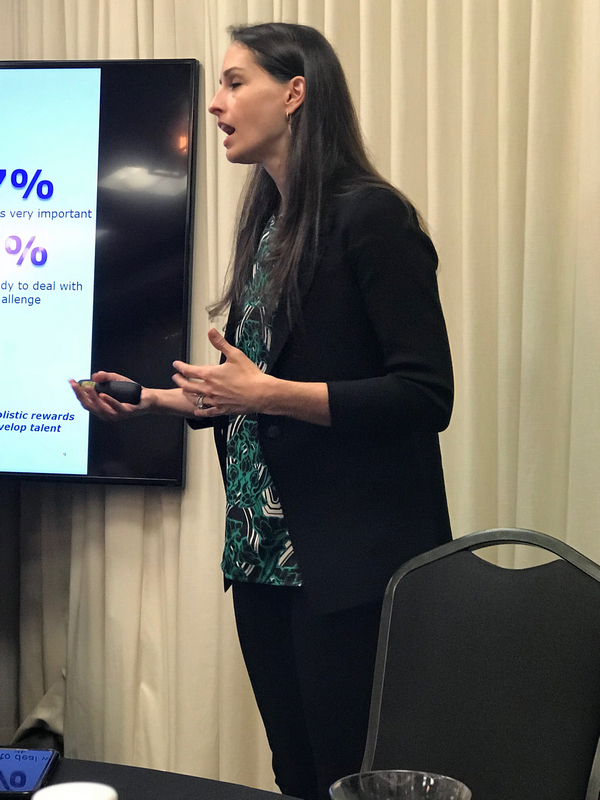 In this session, our presenter uncovers a host of new views into these previously unknown areas, including how the value of the payout impacts behavior, what ESPP discount levels create more employee holders, what impact age has, if tenure and location make a difference, and how Section 16 behavior varies. And, mixing and matching of all data areas creates a virtual menu of choices on how to assess employee selling behavior. These topics were presented in Houston on 5 April and in Dallas on 6 April 2017. Join us for a lively discussion on a bit of history behind T+2 (transaction date plus 2 days), what is coming with T+2 and what we are seeing companies do to plan for this change in shortening stock option settlement for US registrants. What's new? We will cover tax law changes and potential impacts to to the administration of your programs. 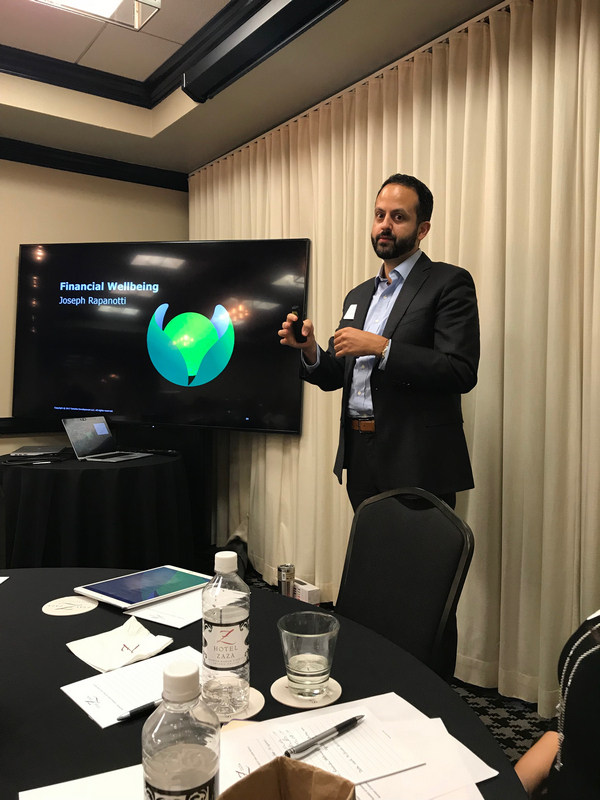 GEO's Texas Area Chapter Meeting: Equity Compensation Round-up! GEO Members are welcome to download presentations from this meeting. You must be logged in to the GEO website to access the files. We will herd you through upcoming regulation changes and potential impacts to your programs. We will rustle up details on topics such as ASC 718 changes and how these might cause financial statement volatility for your company. We will also lasso the facts on FLSA changes. Managing Risk and Controls--Are You Prepared for your Audit? It’s time to rope your controls and round-up your best practices. During this session, we will focus on things you can do to prepare for upcoming audits. We will discuss best practices for having the right controls in place, what auditors are looking for, as well as audit experiences. We can often get stampeded with questions about equity compensation when market conditions are volatile. Join us for an information round-up on things to think about when granting equity in a challenging market. Managing Risk and Controls --Are You Prepared for your Audit? Creating an automated and consistent approach to handling the more complex mobile employee is a more proactive way to address global compliance and a better participant experience. It can provide scalable procedures that support efficiencies, cash management and the reduction in manual processes. This dynamic session will uncover some of the ways in which corporate issuers—with the help of their key service providers, are initiating scalable processes at their companies to better support and streamline employee mobility compliance. Attend this session and get techniques you can help implement at your own company to initiate efficient and effective automation solutions that can cover both mobile and non-mobile employee populations. This lively discussion will focus on the compensation and benefits trends we are seeing in the areas of acquisitions, plan design, and implementation. Keeping track of legal developments impacting equity awards granted by multinational corporations is a challenge. This session will get you up-to-date, covering the hottest topics around the globe, including changes to securities laws in Australia, New Zealand, Saudi Arabia and South Africa, the latest in exchange control restrictions in Argentina, China and Russia, key developments in data privacy laws, including the recent invalidation of the US-EU safe harbor program, Japan’s new data privacy laws and Russia’s data residency requirements (and more)! Forget about your holiday shopping checklist, your equity compensation plan year end processes will keep you busy enough! During this session, we will focus on key year ends tasks for U.S. multinational organizations granting equity to U.S. and non-U.S participants. We will delve into areas like W-8BEN recertification, YTD tax updates, reporting multi broker executions, 6039 reporting and more. We will also discuss best practices for Disqualified Disposition reporting and mailing disposition surveys from the perspective of the client issuer and service provider (broker). The world of executive compensation is changing fast, and if you blink, you might miss it. Join Meridian Compensation Partners Chris Havey to discuss common (and some not so common) CEO compensation strategies that were deployed in 2015. During this session, we will review the recent SEC guidelines for CEO pay, with a focus on trends and key findings from large global organizations. You will also get a glimpse into the future, including what is coming next in 2016 and key proxy related items for consideration. The requirements for receiving shareholder approval of equity plans across countries are as varied as the languages spoken there. Nearly every country has a different set of requirements or guidelines. In addition, individual shareholders have different tolerances within their stated policies. Keeping track of these differences, let alone presenting them in one sitting is a grueling exercise. However, in reviewing this myriad of requirements, a common set of themes emerge. This session will focus on identifying what these common themes are related to plan design, performance metrics, burn rates/dilution and communications and how best to manage them. Attend this session and save time later! Creating a consistent approach to handle the more complex mobile cases is proactive. It provides scalable procedures that support efficiencies, cash management and the reduction in manual processes. This dynamic session will uncover some of the ways in which corporate issuers—with the help of their key service providers, are initiating scalable processes at their companies to better support and streamline mobility compliance. Attend this session and get techniques you can implement at your own companies to initiate efficient and effective automation solutions that can cover both mobile and non mobile populations. A Casual networking event, introduction to GEO and updates on key trends in Equity Compensation. 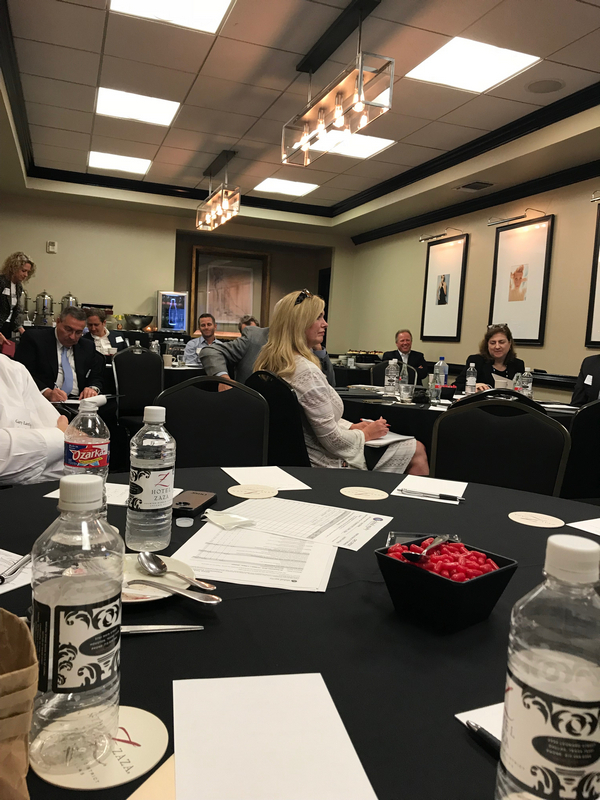 GEO was pleased to announce the launch of our Houston Chapter at the PricewaterhouseCoopers offices in Houston for our inaugural meeting and discussion with Bill Dunn and June Bood. Bill Dunn and June Bood of PricewaterhouseCoopers led a discussion around equity compensation and the impact trailing liabilities have on local taxation compliance. This session was very interactive and provided great insight around navigating this issue.